The manager of the team breaks his left arm after a fall on a motorcycle and joins Lorenzo's loss for the first test of the year in Sepang. The Repsol Honda infirmary begins to saturate after receiving a new tenant. Alberto Puig was the last to join the disabled list of the Japanese team after a crash on a motorcycle, in which the head of the structure inside the Japanese garage had broken his left arm and had to be operated on urgently have confirmed in 'El Mundo Deportivo'. Like Jorge Lorenzo, who will not be in Sepang after breaking his left wrist two weeks ago, the manager of the team will not make an appearance in the first preseason tests and in this way, can not check 'in situ' the news that will present the signature of the golden wing on the asphalt. Who will be present in Malaysia will be Marc Márquez. But with conditions. 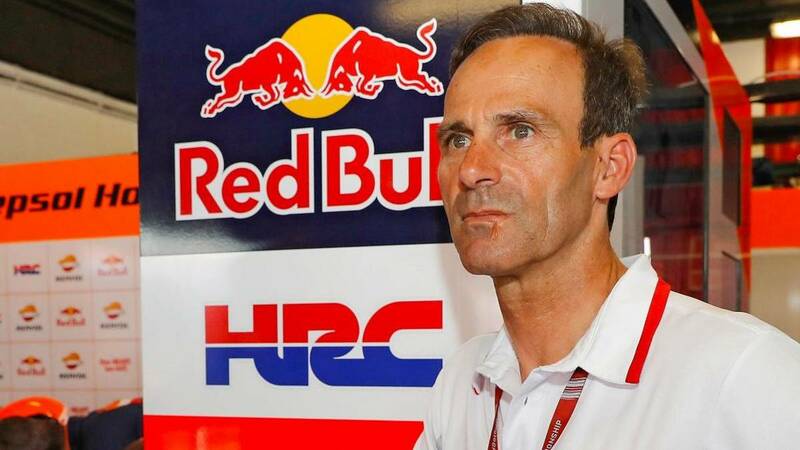 The pilot of Cervera arrives convalescing of his injury to the first tests of the year and in spite of his recovery, will go round counted in which he will not risk more than necessary. In addition, a Cal Crutchlow which was another of its main strengths for the set-up of the RC213V before 2019 started rolling, also arrives limp to the trainings and will not perform a very effective action as it still suffers from the fracture Ankle suffered in the Australian GP. Things get complicated inside the garage of a team like Honda that, faced with a panorama of uncertainty facing the beginning of the course, will be of Nakagami and Bradl to provide a little light. The Japanese is the only driver of the registered along with the Japanese who arrive without any type of ballast to the three days of tests in Sepang that will start tomorrow. Next to him, the German will abandon the test bike of the Japanese brand with which it usually rolls and will climb the Honda of a Jorge Lorenzo, which is expected for Qatar but also, without being in perfect condition. Far from an idyllic beginning as in the previous year, since the brand of the golden wing , the furniture is saved during the first steps of the year, to reverse a situation that will test the virtues and weaknesses of its mount in the absence of running .